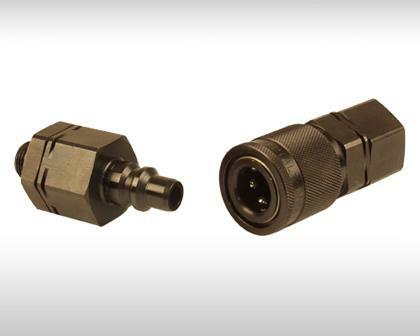 The LP / SP quick coupling series comprises single and double shut-off couplings in nominal sizes from 2.5 to 50 mm. This series is available in different materials with various surface coatings. 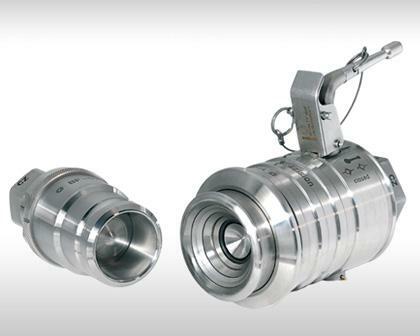 The HP quick coupling series comprises single and double shut-off couplings in nominal sizes from 2.5 to 50 mm. This series is available in different materials with various surface coatings. 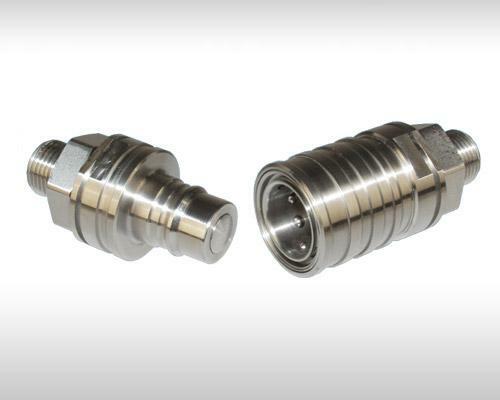 Clean-break couplings for difficult fluid or gaseous media. (non-lubricating media as well as lubricating media). Highest safety standards and optimally operable through automatic locking. 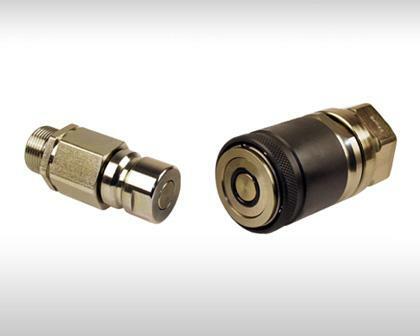 For high pressure hydraulic applications, which are exposed to rough conditions and heavy strain. It is easy to clean and there is no loss of media or ingress of air into the system during operation. Multi-coupling for the simultaneous connection of several gas, fluid and electric lines wherever process-reliable and semi-automatic operating sequences are required for production, test and control. Multi-coupling used in/for automated operating sequences. The connecting movement is carried out electrically, pneumatically or hydraulically. 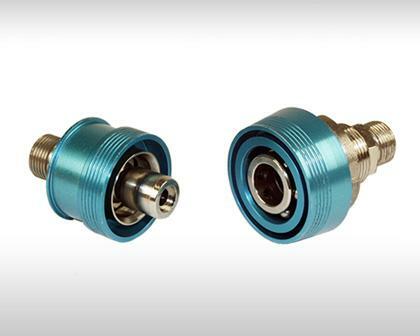 Push-to-connect couplings suitable for all applications which demand minimal leakage, fool-proof handling and a high flow rate. Option: with unlocking safety device. 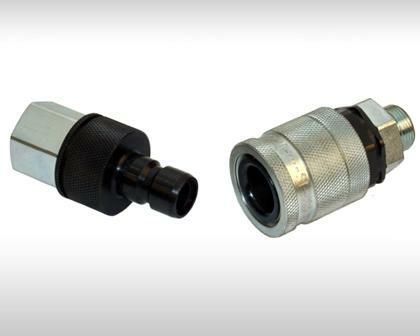 The quick coupling series MD comprises double shut-off couplings in nominal sizes from 6 to 50 mm. This series is available in different materials with various surface coatings. 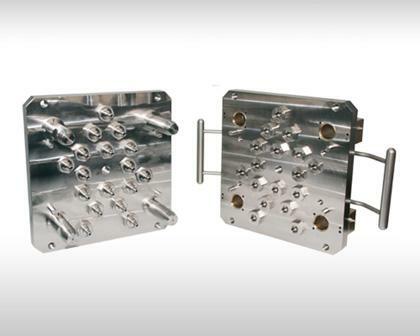 The modular designed tool changing systems may be equipped with various connector elements for a wide range of fluid and gases. They allow a quick change of the tools of welding and handling robots. In many cases different media lines must by no means be interchanged. This can be avoided by coded or non-interchangeable designs of couplings and self-sealing / through type adaptors. Our extensive range allows us to offer the world’s largest programme of mono-couplings, multi-couplings and docking systems, with more than 400,000 variations. 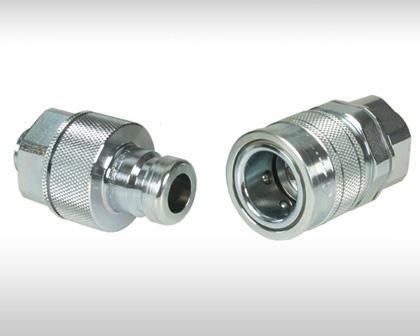 Multi-couplings provide for simultaneous manual or automatic connection and disconnections. 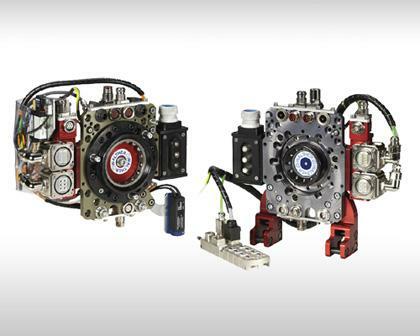 Automatic operation can be by either pneumatic or hydraulic actuators. Today, the same production line produces different vehicle ranges. Robots are equipped with tool changers allowing them to handle various parts while performing several different manufacturing steps. Possible uses include medical gas supply, diagnostics, dialysis, computed tomography, sterile systems and breathing gas supply. 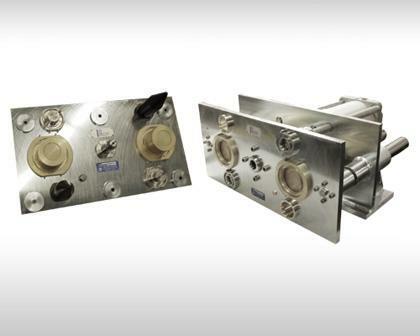 Our quick coupling systems allow for fast connection and separation of fluid, gas and electrical lines on drilling platforms and subsea. Our coupling systems provide the steel industry with solutions for hydraulic, pneumatic and many other media systems. In railway engineering, our couplings are used, for example, for power supply, air-conditioning systems, for cooling transformers and rectifiers, and in hydraulic or pneumatic brake systems. Industrial robots, equipped with tool changing systems are able to perform different tasks without manual set-up times or to guarantee highest process safety with redundant tool concept.